Sure to be one of your favorites this Spring! 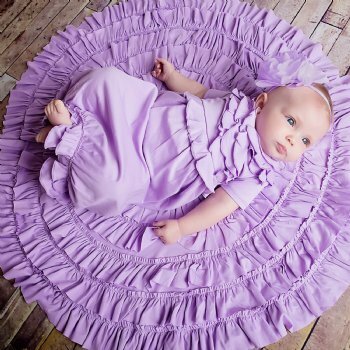 Lemon Loves Layette short-sleeved "Julia" lilac baby gown in a luscious, spring flower-inspired color is just perfect for your little baby girl. 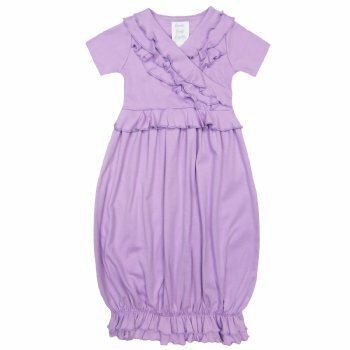 The fresh lilac color accentuates the beauty and simplicity of this baby gown. The gown features a cross over neckline adorned with a cascade of ruffles in the front. 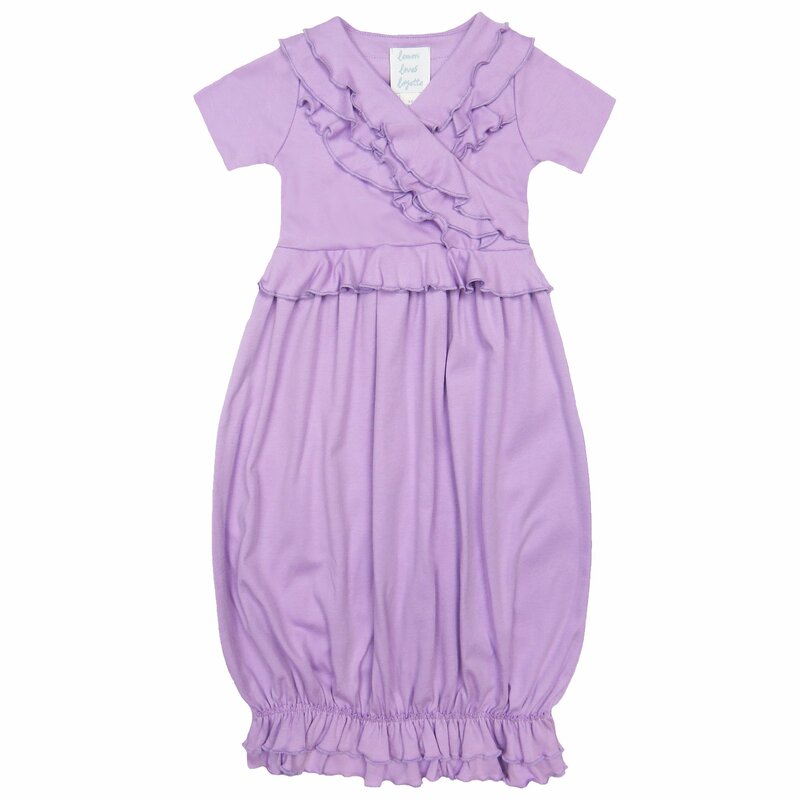 This cross over neckline makes dressing baby very easy. The gown has ample "wiggle" room and won't confine baby's little legs, but the gown will keep them nice and cozy. A beautiful and perfect baby shower gift. Add the headband and round ruffled wrap to complete the look. NOTE: The "Jenna" gown is the same style but with long sleeves. See below.